After Winter Storm Jonas left much of the mid-Atlantic through the Northeast buried under snow, and with more than half of the country experiencing wind chill effects leaving folks feeling the air as cold as 20 degrees below zero, vacation searches across the U.S. have jumped up to 120 percent nationally the week of January 25 over the week of January 18, according to the free search rewards browser app, Qmee. The most popular hot spots searched for getaways in America have been ranked with Miami getting top billing, Orlando as the second choice and Las Vegas as the third city of interest. The Caribbean was the fourth most-search-for warm weather trip option. But the vacation planning didn’t end there. The U.S. dollar’s strength against the Euro led many Americans to search for European getaways. Qmee’s data points to the top destinations in Europe being London, Paris, Amsterdam and Rome, in that order. Results also showed that budget airlines, specifically Southwest, as the most searched for choice for Americans looking to book flights for their spring trips. 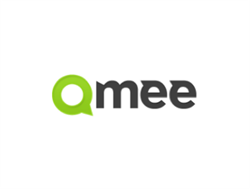 Qmee is a search rewards app that allows consumers who make search engine queries to receive better results and also to be paid for clicks into the links they otherwise would select for zero reward. The fastest-growing search-loyalty app, Qmee was launched in 2013 by Nick Sutton and Jonathan Knight, longtime friends and software executives with collective experience in software, investment banking and building startups. Featuring a true cash bank that allows consumers to withdraw their funds through a PayPal account or to redirect their earnings to local and national charities, Qmee is an innovator in the rewarded-search space with more than 200,000 U.S. users. To learn more about Qmee or to register to begin earning reward dollars, visit http://www.Qmee.com.